Light & Darkness Radio: Featured Today! "Wuthering Heights, Whyzdom..."
Featured Today! "Wuthering Heights, Whyzdom..."
Wuthering Heights (DK) - The group formed in 1989 under the name Angelica. They recorded nothing under this name, changing the name to Minas Tirith for the release of a demo cassette, entitled Tales From the Woods in late 1992. By the release of their second demo in 1995 the band had changed their name to Vergelmir. They were inactive in the studio for a few more years until, as Wuthering Heights, they released Within in 1999. 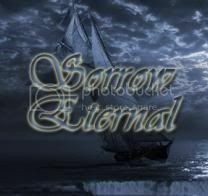 They followed this up with To Travel For Evermore in 2002 and Far From the Madding Crowd in 2004, which has received some critical acclaim amid the underground power metal and folk metal communities. In the summer of 2004 the band played outside Europe for the first time. The gig took place at the ProgPower festival in Atlanta, GA. The show was filmed and was supposed to feature as a bonus DVD on the fourth album, but it was later changed to a bonus live recording instead. The band's fourth release was The Shadow Cabinet from 2006. The band's line-up has changed a great deal over the years, and Erik Ravn is the only founding member remaining in the group today. They are currently signed to Locomotive Records. The band's 2010 album was called Salt. It was the Album Of The Month on the heavy metal database website www.metallian.com with a score of 80/100. Wuthering Heights' musical style is relatively unique, combining various elements. Classic heavy metal and power metal along with the highly virtuosic speed metal style, are mixed with strong folk influences. Bagpipes, violins, flutes, and other traditional instruments are included in many songs. 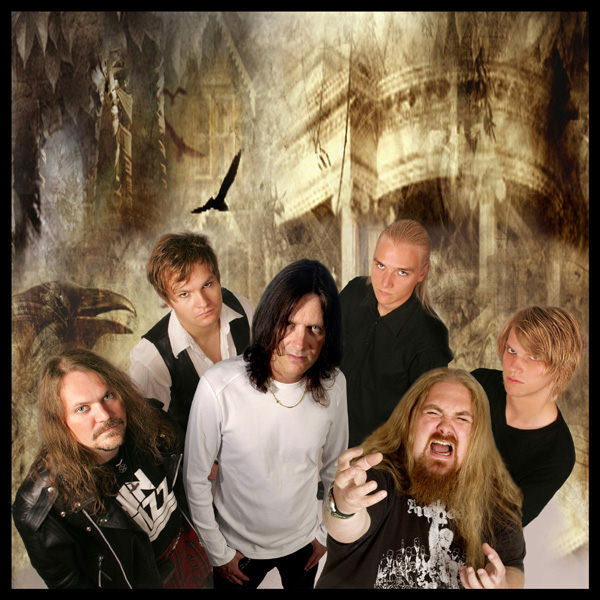 As is typical of power metal, the songs feature strong melodies and clean vocals. The band is often described as being progressive metal, though they are not strictly in-line with the genre. They are quite musically distinctive, with their closest musical neighbors probably being Falconer and Elvenking. Wuthering Heights' subject matter is somewhat varied, but typically includes Tolkienic fantasy (sometimes with specific references to locales or creatures from Tolkien's works) and more traditional folklore-influenced works, with an additional emphasis on fantasy-tinged, new-age-style nature themes. The band does not reference 19th-century literature in their lyrics to any real extent, despite the fact the band takes its name from the novel Wuthering Heights by Emily Brontë, and despite the allusion in the name of their 2004 album Far From the Madding Crowd by Thomas Hardy. Whyzdom (FR) - Think of a huge orchestra and a massive symphonic choir intertwined with powerful riffs and enchanting melodies from a clear and passionate feminine voice, and you'll get an idea of what WHYZDOM have managed to create. Their classical influences ranging from the romantic to the contemporary period, as well as the appealing melodies that drive the songs, make their sound utterly unmistakeable in an ever growing scene. The project was founded by the guitarist and orchestrator Vynce Leff in early 2007, already well known in the progressive sphere having produced several successful albums for the British label Cyclops Records. After recruiting the band members, a first EP "Daughter Of The Night" was recorded less than 6 months from the band's inception. It got instant acclaim from reviewers and music fans around the world, as well as several awards and plaudits (Best French Band 2008 - Metalsymphonique.com, Best EP - HeavyLaw.com, etc). Although still a young band, WHYZDOM were invited to play in several festivals in France - most of the time as headliner - and won the Metal Female Voices Fest Contest in Belgium in October 2008. They played in the 7th edition of this great Festival (17/10/2009) and also played as official support to DELAINto launch their début album. In June 2010, WHYZDOM lead vocalist left the band. Lisa Middelhauve, former XANDRIA singer, accepted to be "guest lead vocalist" for the band performance at the RAISMES FEST 2010 and for their concert in PARIS as support for TARJA. In December 2010, Clémentine Delauney joined the band as lead vocalist, ready to record the new album to be released in 2011. ~Thanks for your Support! Enjoy! Featured Today! "ReinXeed, Mechanical Poet...."
Featured Today! "October Tide, Paradise Lost..."
Featured Today! "Seventh Wonder, To/Die/For..."
Featured Today! "ReVamp, Queensrÿche ..."
Featured Today! "Imperia, Black Majesty..."
Featured Today! "Epica, Aesma Daeva..."
Featured Today! "Mob Rules, Communic..."